Multi-level steamboats became popular in the Great Lakes and on the Mississippi River as a means of transporting goods and travellers. 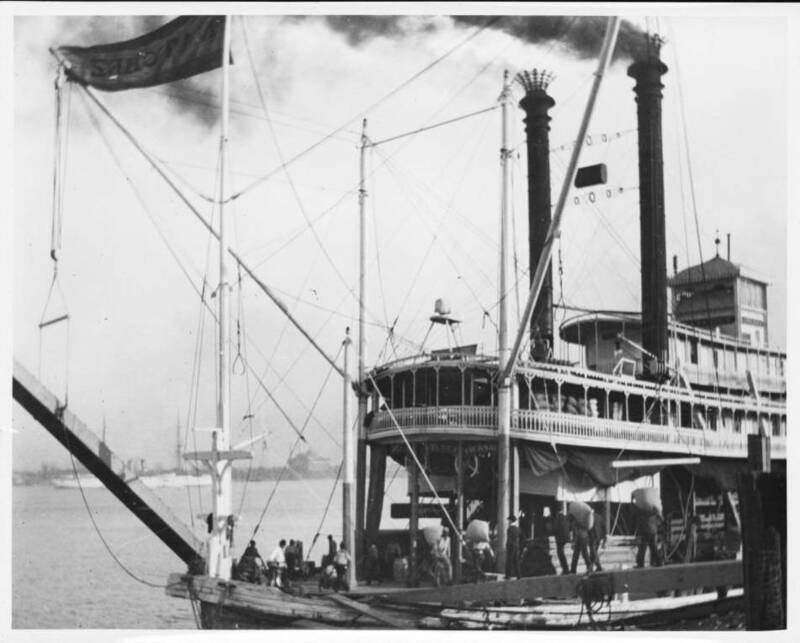 “A steamboat in New Orleans, Louisiana,” Digital Public Library of America, http://dp.la/item/2e5e6a82ee1133ce415374920efc33b8. Courtesy of California Historical Society via University of Southern California Libraries.